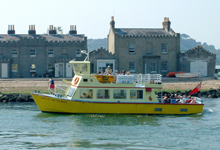 Take a trip over to this peaceful little island in Poole Harbour. It’s an idyllic spot – a haven for wildlife, including a thriving population of the scarce and threatened red squirrel, wading birds and Sika deer. 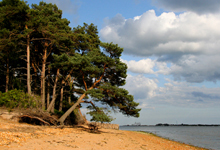 Explore the woodlands and heath and stroll the cliffs and beaches, with their glorious views across the harbour to the Purbeck Hills.